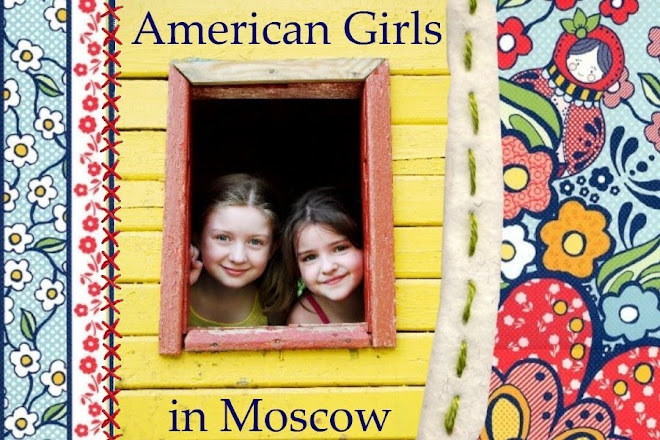 American Girls in Moscow: Thank You! Right now, though, I need to go to sleep. Here is another hug for tomorrow! Hoping you feel better, physically and emotionally!!!! I admire you! people who know and love you, like WE DO! - should be the only opinions that count. unless one has lived the expat life, they will simply never understand. now, that i am on the "other side", i can honestly say how much we miss it - we are forever changed, and grateful for it. i know where your heart is, and i love and support you 110%! Just checked in to see how things are going--I totally missed the previous post when it happened, and I'm so sorry for all the stress. Me just moved (about 120 miles, not across an ocean) about a month ago and are still in the shock and recovery process from that---I can't even imagine how hard it is with two kiddos and being overseas! Sending good vibes that you are getting better! 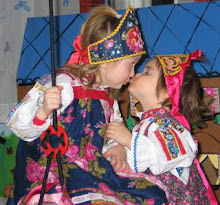 I love reading your blog and love the fun stories that you share of your family experiences in Russia. The previous post was different than your usual, but it was what real motherhood is like. There are many times that I give myself the "mother-of-the-year" award tongue in cheek! Hang in there and try to get some rest. I know that it has been exhausting, but I would like to send you a huge hug from Texas! Hope you are feeling better soon. Anyone who is criticizing you has never really been a parent! Ugh, from your last post, it sounds like there were plenty of reasons to be stressed. In fact, any one of those reasons would be reason enough to be stressed out! Hope you get a real break soon and have some time to recover and get well before the school year starts!